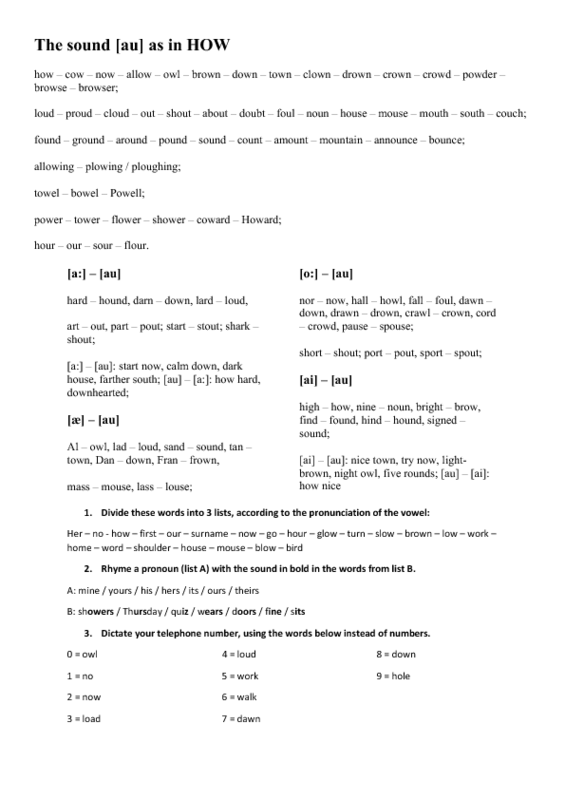 Use this worksheet to help your students with the pronunciation of diphthongs, especially the one found in "how". Use the first part for reading and repeating words in isolation or in pairs. 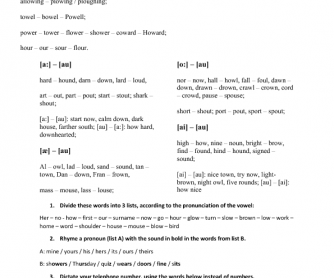 Use the 3 exercises at the end to better discriminate the sounds and practise saying it.